One of my personal complaints about any cloud based ERP software the inability to make customizations that your business needs to maintain a competitive edge. The assumption of a cloud ERP software is that every business should be able to fully utilize the software as the software developers intended. But as we all know in the real world, this is NEVER the case. As much as software developers tries to develop functions that covers all basis for the users of their software, there will be nuance for each individual businesses and how they operate. This is exponentiated by the fact that their customers will throw out weird curveballs that the user will have to comply, no matter what. What do you do in these instances? You have make changes to the system or keep track of the changes manually. In this day and age where products are expected to be ordered in the morning and shipped in the afternoon, there’s no way in hell you can expect the user to keep track of data manually. Worst, the company may have to buy or develop a whole different software just to supplement what the original ERP can’t handle. Either way, it’s a recipe for disaster. So now you have a problem, you have a software that is not robust enough to meet your customer’s demands without major workarounds and you have data and processes you have to comply with. One of the main selling points for the old Dynamics NAV (aka Navision) was the ability the user can customize anything they want. Because of this, some very beautiful industry specific and horizontal solutions have been developed without additional integration software. Why? Because it’s built INTO the software. The ability to modify anything you want is both good and bad and is subject to debate, but at least it’s available should you need it. 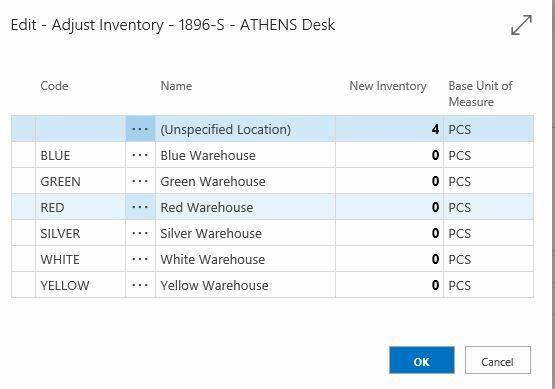 When Microsoft announced they’re moving Dynamics NAV to the full cloud and renaming it to Dynamics 365 Business Central, a lot of people kind of assumed we’d be taking away the core essences of what makes NAV great, it’s flexibility. What?! I almost wet my pants when I saw this! 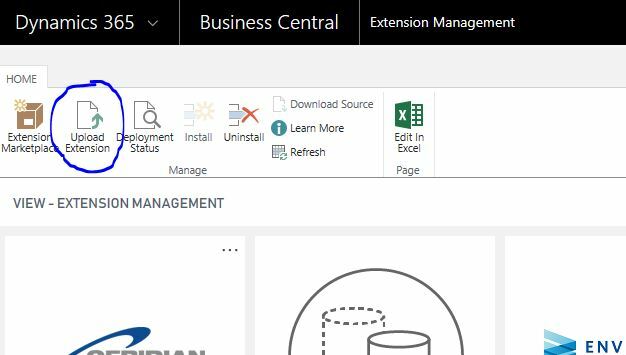 This allows you and/or your NAV partner to make custom extension modifications to your specific Dynamics 365 Business Central deployment! Not only can you enjoy the great infrastructure of Microsoft cloud, but you’re also able to make customizations to your specific needs?! Microsoft, specifically the Dynamics NAV product team, really hit this thing out of the park. Being able to upload extensions to modify your deployment still has it’s limits. You will only be able to “extend” on the base application, but you will not be able to actually modify the base code. For example, you will not be able to change how Reservation system works in base NAV, you can only modify around it. But still, it’s a GREAT first step!